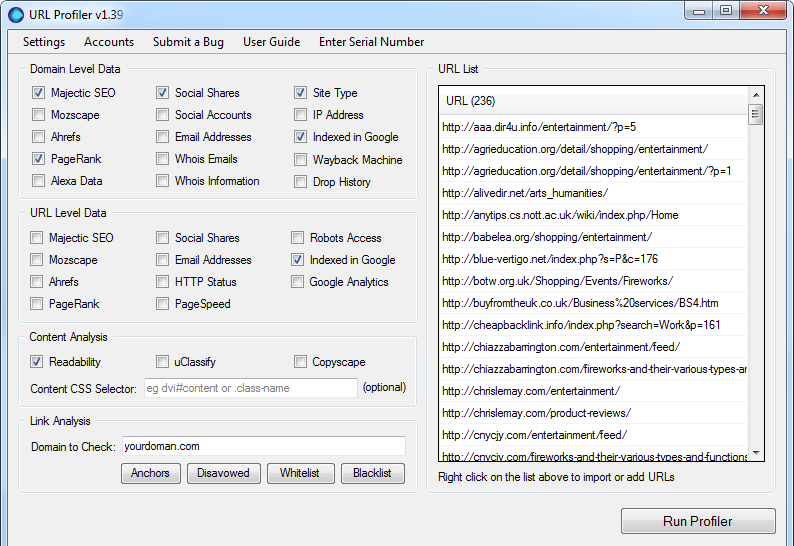 URL Profiler doesn’t just do one task; it can be configured to retrieve a large array of link, content and social data for almost ANY task. Thousands of URLs at once – with no limits or constraints – just the data you need, when you need it. Configure URL Profiler to collect and record the data you need. Quickly checks your backlinks and returns in depth anchor information. Scans the site to identify the type of site and software used. Downloads bulk link metrics from Mozscape, Majestic SEO and Ahrefs. Scrapes, harvests and extracts website email addresses. Calculates content quality statistics and 5 separate readability scores. 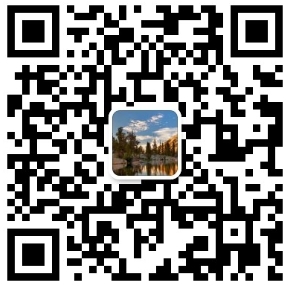 Finds Twitter, Facebook, Google+, LinkedIn and Pinterest account links. Retrieves social engagement metrics for domains and URLs. Quickly checks thousands of URLs, without any proxies. Connects directly to the Google Analytics API. Fetches unlimited whois email addresses without captchas. Fetches the domain’s server IP address and country code. Connects to Google’s PageSpeed service to fetch scores & statistics. Checks HTTP Status for each URL and returns end result for redirects. Retrieves duplicate content and plagiarisation issues. Checks search engine access using Robots and Canonical information. Retrieves traffic, rank and link data, without any proxies.